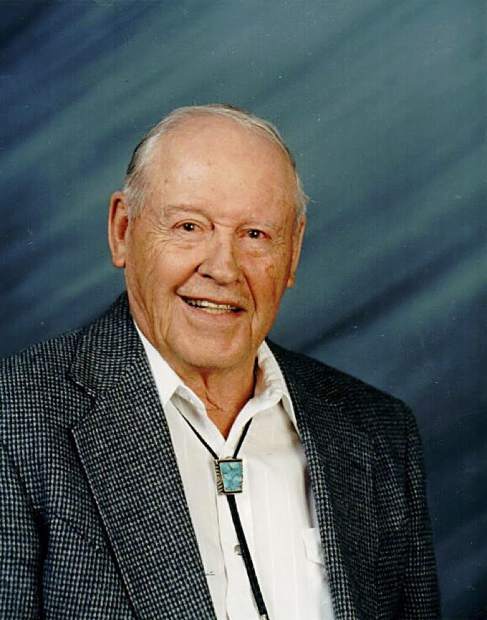 Daryl Gean Richardson, beloved father, grandfather, rancher and longtime resident of Garfield County, passed away October 6, 2018. From his humble beginnings in Quinter, Kansas, to his final days at Rifle Veterans Home, Daryl’s life was always exciting. He lived through the dust bowl days, spent most of his teenage years working. During his younger years he, his brother and his parents traveled throughout the western part of the United States as his parents searched for business ventures. When he was in the 8th grade, his parents, Hiram and Hazel Richardson, bought a tourist court in La Junta, CO.
Daryl lied about his age to get a job with the Santa Fe Railroad at age 15 working on the rip track crew. At 16 he became foreman at the ice plant, wrestling 300 pound ice blocks onto the refrigeration railroad cars. At 17, he became a fireman for the Santa Fe Railroad shoveling 8 tons of coal to get the train over Raton Pass. Daryl was an active Boy Scout, but enlisting in the Navy at age 18 interfered with his completion of his Eagle Scout work. He became a Koshare Indian and a member of the Kiowa clan. Koshare Indians are a world known part of the Boy Scouts of America. 1946 found Daryl at Great Lakes Naval boot camp near Chicago. From there he went to Port Smith, Virginia, where he began his medical field training. He ended up serving at Bethesda Naval Hospital as a pharmacist mate. Two years later, his Navy stint ended. Afterwards, Daryl attended Denver University attaining a degree in Chemistry with a minor in physics. A minor accident and a broken collar bone resulted in a not too impressive meeting with his future father-in-law, Dr. Guy Calonge. Nevertheless, Daryl married his high school sweetheart Eva Winifred (Wynne) Calonge on December 11, 1949. They were to celebrate their 69th wedding anniversary in December. Daryl and his father broke sod into promising wheat land near Cope, Colorado. His family still continues wheat farming. In the summers he and Wynne lived at Cope, and in the winters they moved their trailer to La Junta where Daryl worked as a chemist for Holly Sugar in Swink, Colorado. The family had expanded with Daryln born in 1951 and Hiram two years later and Tye another two years after that. In 1955 at Wynne’s insistence, the family purchased the Tuttle livestock ranch (formerly the Vulcan Ranch) at what is now known as Riverbend near New Castle. This new venture was a shock to Daryl as he knew nothing about cattle or ranching. Daryl’s children were a vital part of the ranch work force, and Daryl was delighted at the appearance of a fourth hand, Ruby. Daryl and Wynne built a home at Riverbend and raised Hereford cattle that wore the Double Quarter Circle C brand -))c. Pastured at South Canyon and the flat tops near Meadow Lake. In 1973 they sold part of the ranch and bought another ranch at Ninaview south of La Junta, CO. In 1977 the Ninaview ranch was sold, and Daryl bought and operated the Farnum Richardson Mortuary in Glenwood where he was a deputy coroner for Garfield County. By 1986, Daryl sold the mortuary and started enjoying life in South Canyon and being a snowbird in Queen Valley, Arizona, where he and Wynne made many friends through their active social life. After travel to Arizona became too difficult, Daryl and Wynne relocated to West Glenwood and Grand Junction. Daryl was an active member of Kiwanis, the 100 Club, Holy Cross Cattleman’s Association, and a lifetime member of the Elks Lodge. He was a member of the RE-2 school board and a supporter of Garfield County 4-H. 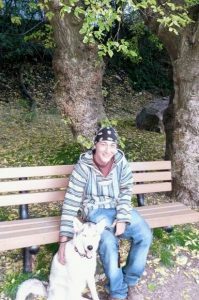 He was preceded in death by his daughter Daryln and his brother Kyle. Survivors include his wife, Wynne; sons Hiram (Ann), El Jebel, and Tye (Maureen) (Glenwood Springs); and daughter Ruby (Carbondale). 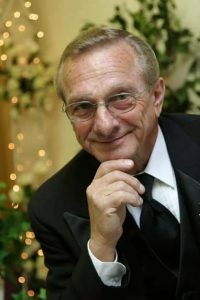 He has eight special grandchildren: Jessica Frye, Grand Junction; Lana (Perry) Berry, Queen Creek, Arizona; Levi (Kayla) Frye, Scottsdale, Arizona; Brandon (Megan) Richardson, Chicago, Illinois; Tiffany (Justin) Mackey, Arvada, Colorado; Breanna (Hunter) McCallum, Glenwood Springs, Colorado; and Mikaela Richardson, Salida, Colorado. 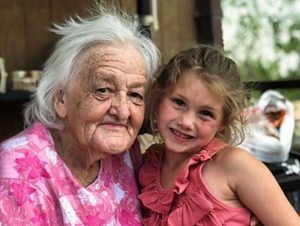 And from there are eight wonderful great-grandchildren: Hunter, Jens and True Tobiasson (Grand Junction); Jacob, Jade, Jenae and Jet Perry (Phoenix, Arizona); and Jaxon Mackey (Arvada, Colorado). In lieu of flowers, please consider a memorial contribution to the American Cancer Society, Post Office Box 22718, Oklahoma City, Oklahoma 73123. Memorial services to be held Friday, October 19th, at 10:30 a.m. at New Hope Church in New Castle.